2000-2001 Secretaría de Salúd in Ciudad Benito Juarez in state of Nuevo León , México, as a General practicioner, Family Doctor. 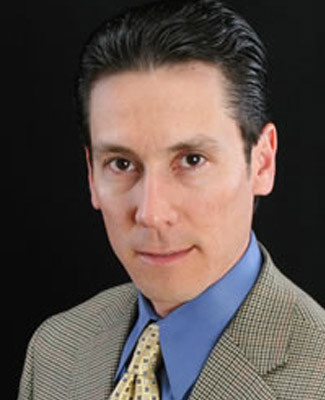 2002 to 2009, Clinical Director of San Antonio Wellness Institute, at Schnitzler Cardiovascular Consultants. Research coordinator for Wellness Institute. High School and College at Instituto Regiomontano de Monterrey. August 1999 – July 2000 Medical Internship at Methodist Hospital in San Antonio, Tx. Medical Doctor from the University Of Monterrey, Mexico. Merit for outstanding health care at the community of Ciudad Benito Juarez, Nuevo León, given by DIF Nuevo León, México. August 1999 – July 2000 Internship at Methodist Hospital in San Antonio, TX. Rotations in Internal medicine and Pediatrics, ER, Nephrology, Cardiology, Pulmonology, Neonatology, Surgery, Gastroenterology , Hematology, Neurology. August 2000 – July 2001 Community service at Ciudad Benito Juarez ,Nuevo León. September 2003 – Texsan Heart Hospital – Dsyslipidemia and Atherosclerosis. Clinical Challenges, Uncomplicated Solutions: Special populations. October 2004 – Participant speaker at Hospital Mexico in Piedras Negras Coahuila. Cardiovascular diseases. April 7, 2004 – UTHSCSA, participant on Fearless Assessment of Cardiovascular Dysfunction: HEMODYNAMICS, case study approach. Robert N. Schnitzler. 2004 research and presentation for Grupo Continental on Company Health status, Diabetes vs Cardiovascular disease. Hearing VS sleep apnea. Risk factors for metabolic syndrome. January, 2005 – Team Leadership Techniques for Physicians. Moving from competition to collaboration. St. Lukes Baptist Hospital. September, 2005 – Get with the guidelines, Heart Failure. American Heart Association. Roberta Bogaev, MD. October, 2005 – Medical coordinator through the SA Wellness Institute for the New Orleáns Saints football team, during the Katrina and Rita Hurricane evacuation in San Antonio Texas. 2005 research and presentation for Grupo Continental on Company Health status, Diabetes vs Cardiovascular disease. Hearing VS sleep apnea. Risk factors for metabolic syndrome. Prevalence of disease in specific states in Mexico. Active Participator on the VTP Salud Program with Mexicana Airlines, 2005. 2006 research and presentation for Grupo Continental on Company Health status, Diabetes vs Cardiovascular disease. Hearing VS sleep apnea. Risk factors for metabolic syndrome. Research and investigation of common job related diseases associated with the car industry in USA VS job related diseases associated with car industry in Japan. August 2008 – Participant speaker at Hospital Mexico in Piedras Negras Coahuila.. Miocardial Infarction, Risk factors. Acute Cardiac Life Support.